Will KCCA replicate last season’s adventures on the continent? Benjamin Ochan who ensured KCCA’s progression to the CAF Confederations cup group stages is one of many key players not taking part this time round. Courtesy photo. FOOTBALL–KCCA FC will be representing Uganda on the African continent once again after successfully defending the league tittle and winning the cup to bag the club’s first double last season. One of the most successful sides in Ugandan football, KCCA had an adventure last year that they will live to cherish as the nearly eliminated then CAF Champions league defending champions Memelodi Sundowns in the first round of the competition only for Anthony Laffor’s late equalizer at Lugogo to dump them (KCCA) out 3-2 on aggregate with 10 minutes in the tie to play. The two legged affair with Cranes captain Dennis Onyango’s Sundowns was to be KCCA’s last in the elite Champions league but it came after a tie with Angola’s Clube Desportivo Primeiro de Agosto whom the reigning Uganda league champions had eliminated on away goals thanks to a 2-1 loss in Angola. Geoffrey Sserunkuma’s early goal in Luanda was the key catalyst of the tie after KCCA had won 1-0 in Kampala a week before. With the losers in the first round of the Champions league automatically qualifying for the play-off round of the CAF Confederations cup, KCCA’s adventures had taken another twist and they booked a date with Egypt’s Al-Masry in a two legged affair that would decide who plays in the prestigious group stages of Africa’s second most prestigious club competition. After both teams winning their home ties 1-0, it meant that only penalties stood in the way of KCCA making their maiden appearance at the group stages of the tournament and goalkeeper Benjamin Ochan proved to be the hero when he saved from Said Mourad and Ahmed Ayman Mansour spots to win the shoot outs 4-3 for his side. At the group stages, the Kasasiro boys where drawn against Tunisian side Club Africain, Fath Union Sport Football Club of Morocco and one of Nigerian football giants Rivers United. It looked like punching above their weight when head coach Mike Mutebi echoed out that his team was good enough to go through to the knockout stages and how close they came to achieving exactly that. After each of the teams had played three games, KCCA was second on the group A log with six points, only behind FUS Rabat on goal difference but its perfomance in the remaining games is what eliminated them. The Kasasiro Boys lost two of the last three games including a final day 4-0 loss to Club Africain in Rades hence finishing third in the group on nine points which was equal to the tally of FUS Rabat in second but with an inferior goal difference. The matter of fact that KCCA was eliminated on the last match day of the group stages led to many praising the club’s exploits and talking about what may have been if only they had done somethings differently but we all know that correction from fans and the media only occurs when you come short somewhere. Looking at the past results of Ugandan teams at the continental level, it is fitting to say that KCCA not only exceeded expectations but put out a challenge that may be difficult to match by any other side including them selves. The Lugogo based side have a chance to try and replicate or better last year’s exploits when they venture into the CAF Champions league again this season although it is such a pity that unlike last season when Vipers was there for company, they will not be joined by another club from the Pearl of Africa as Paidah Black Angles who KCCA defeated in the Uganda cup finals could not match the financial requirements to take part in the confederations cup and no one was willing to replace them. The billion dollar question on every football fans’ mind in Uganda is whether the Kasasiro Boys can match or better last year sarge on the continent. Unlike last season when KCCA where in poll position to win the domestic league as they led comfertably at this stage, the Kasasiro Boys find them selves in a not so pleasing situation as they are three points behind league leaders SC Villa and will have to improve greatly if they are to retain the tittle they have won for the last two years. Looking at the activities that have happened at the StarTimes stadium this season, it would be fitting to suggest that they have to beat the odds a great deal to even match last year. Some of the core that formed the playing stuff of last season has left and has been replaced by raw talent without any continental experience what so ever. Last season’s top scorer Geoffrey Sserunkuma left in the summer for the Zambian Premier league, so too did Tom Matsiko, Vincent Kayizi, Ivan Ntege, Douglas Kisembo plus Brain Majjwega and so has Isaac Muleme and Benjamin Ochan who have left in the January transfer window. The eight players managed a total of 25 appearances combined at the group stages of the CAF Confederations cup last year and surely the experience they attained would have been of greater essence towards the team had they stayed at Lugogo. Others including Paul Musamali who was a main stay in the three man squad has been out injured all season with his defensive partner Dennis Okot now being used as a bench player as he has started only four of the first round games in the league, a tally that grantees that he will also be used as a bit part player come the Champions league or even the Confederations cup if KCCA are dumped their again. When you look at some of the players that have stayed put including Muzamir Mutyaba, Saddam Juma, Paul Mucureezi, Isaac Kirabira and Jackson Nunda, all of whom played a key role last season, they have either lacked form for the better part of the season or spent huge spells on the side lines due to injury. 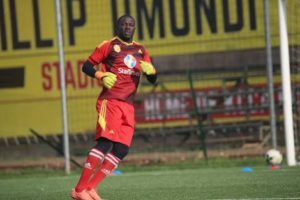 Yes alot of transfer activity has taken place interms of new arrivals but many can only be characterized as fringe players who are yet to be tested with the exception of Muhammad Shaban, Tom Ikara and Allan Katerega of which the later has also moved to Cape Town City in South Africa last month. Mike Mutebi has publically come out and praised his policy of signing these raw players much to the amusement of the KCCA faithfuls and other football fans in the country. “We have brought in new players so as to get stronger and bring more hunger to the team. “The players who have won us the last two tittles seem to be lucking the desire to win anymore but the ones we bring in are hungry for success and i am confident they can help us attain our goals. Said Mike Mutebi recently when asked about his transfer policy. Whether these players can indeed transform the so called hunger in them and turn it into results on the pitch remains to be seen but looking at KCCA’s league from this season and the changes that have occured ever since Club Africain defeated Mutebi’s side 4-0 in July last year, it only fitting to say that the expectations should be low and only a miracle will see this KCCA side match or even better last year.